We’ve all heard the phrase in Fight Club, “We buy things we don’t need with money we don’t have to impress people we don’t like.” We hear that, and many of us nod in agreement, but then what? Most people remain in the exact same rut for years with no other excuse besides the fact that change is scary. Change is terrifying, but what’s worse? Living outside of your comfort zone and facing your anxiety, or living a life that you don’t want in order to fulfill the needs of others? Michelle Hogan certainly wasn’t going to abide by any social norms being forced on her and her family. 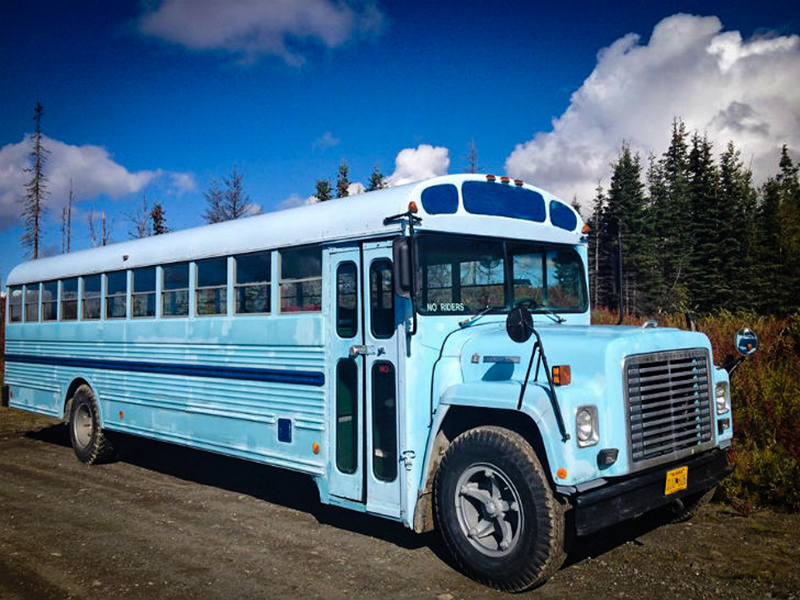 Approximately six months ago, Hogan and her family of five kids (eight in total, three are moved out) hit the road in a bright blue 1975 international harvest school bus. That’s seven people putting everything they own altogether on a regular sized school bus. Hogan and her family’s adventure tests minimalist living and attempts to show appreciation for what is really important in life. The journey began in Alaska and has moved over 4000 miles through Yukon Territories, British Columbia, and the Pacific Northwest. 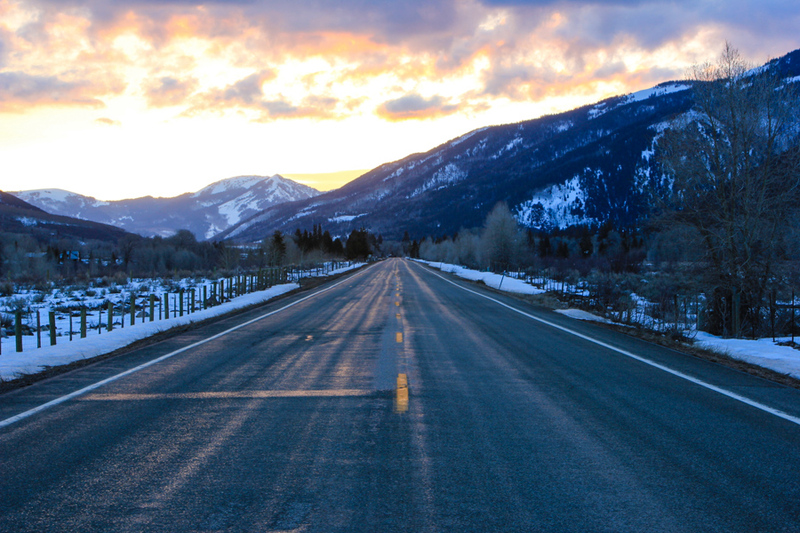 Although long winter days leave the family longing for some space, life on the bus is for the most part extremely beneficial for the family’s well being. Hogan’s 8 kids are being raised to understand what it means to be truly wealthy, to bask in a life filled with happiness, surrounded by people who genuinely care for you. 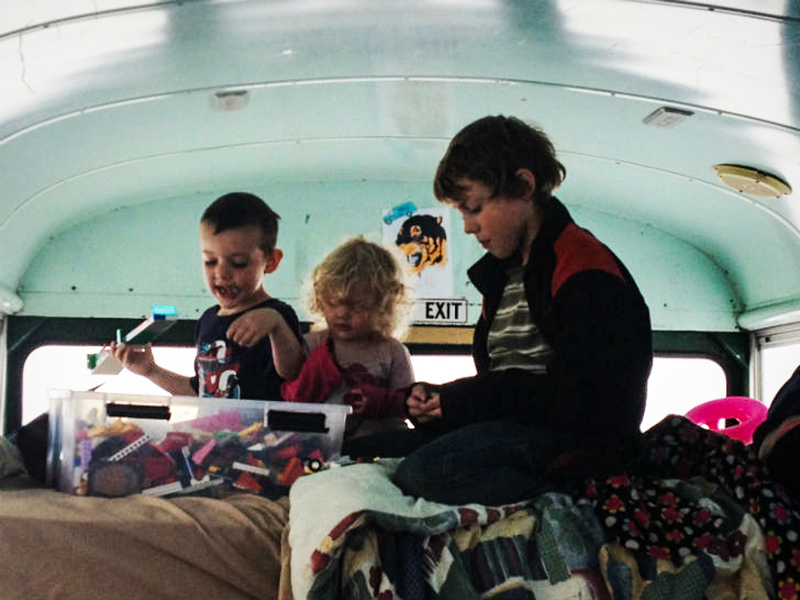 Michelle Hogan stepped outside her comfort zone to live in a 1975 school bus. Hogan’s kids are being raised to understand what it means to be truly wealthy, without monetary resources. To bask in a life filled with happiness, surrounded by people who genuinely care for you is by far more successful than a life in corporate jobs working 60+ hours a week with competitive co-workers that pray for you to fail. A life together on the road didn’t come without sacrifice. The Hogan family had to trim down their wardrobes to 7-10 outfits each, which is what some get in a single shopping trip alone. Anything that doesn’t fit in a 58-quart bin is donated to charity. The bus home is also equipped with only one set of dishes and cups for each family member, pots for cooking, one mug, and one wine glass. Everyone is limited to one set of sheets and towel, so sanitation is high on the Hogan’s priority list. Entertainment for the kids consists of a box of legos, and a large bin of toys. Technology also plays a large roll in the family fun. Laptops and tablets are used by the entire family for Internet usage, movies, and reading. The family isn’t attached to their technology though. Most of the time, the kids enjoy the freedom of the outdoors and enjoy public parks and libraries. Imagine that—being raised in a home where it is not materials that are valued, but just being together. Kids are raised to appreciate what they have instead of constantly wanting more, a desire that never wanes, continuing into adulthood. Of course, bus living is not for everyone, but it couldn’t hurt to minimize. Not just the useless stuff in our lives—but the precedence we assign to these products in the first place. Michelle and her kids enjoy the freedom of the outdoors, appreciating what they have instead of constantly wanting more. Of course, bus living is not for everyone, but it couldn’t hurt to minimize.